Event was the first and largest one towards social responsibility that was initiated by a private company. On December 9, 2017 Light-Up ceremony of Light Street was held in Erdenet City. 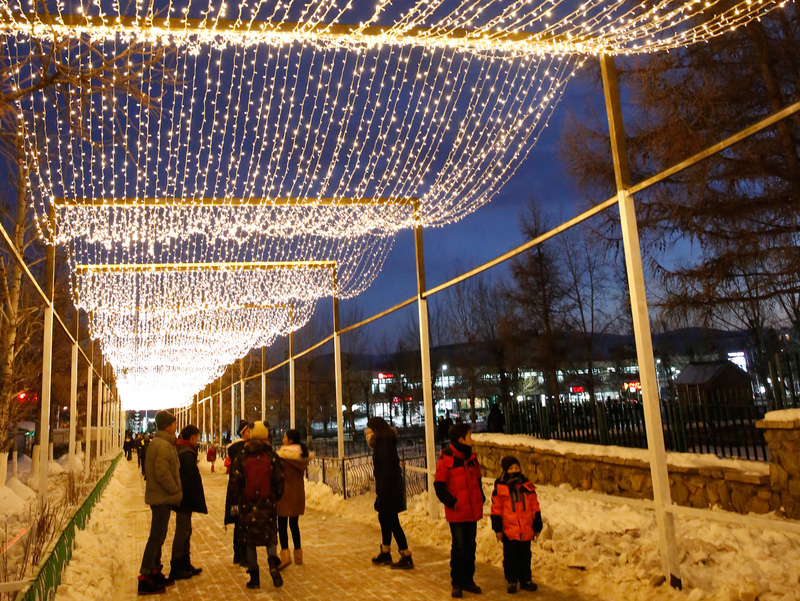 As part of its social responsibility, Mongolian Copper Corporation built this 300-meter-long light street and throughout the 40 years of the city’s history, it is the largest development that was completed by a private enterprise. It was a busy night with large crowd at the Ceremony that seemed like the New Year’s Eve event. Elderly citizen Mr.Galsan said, “I am emotionally touched that the city has such a beautiful street”, where Gantulga who was attending the ceremony with his girlfriend said, “We are excited to see the city has a light street now. It is a great place to hang out with my friends and I am happy that we have a new attraction to show my friends who visit Erdenet!”. During the ceremony, Christmas tree was lit. Featuring the event, singers Amarkhuu, Maraljingoo and “Shar airag” band performed. About 20 million MNT was spent to build this 300-meter-long light street. It was a good example of a private enterprise can build such great development with small budget. Welcoming the 40th Anniversary of Erdenet city, the event was the first and largest one towards social responsibility that was initiated by a private company.